(Beyond Pesticides, January 16, 2019) Preliminary counts in California indicate the western monarch butterfly population dropped 86% from 2017 to 2018. The survey is a result of an annual effort by volunteer citizen scientists, organized by the nonprofit organization Xerces Society. 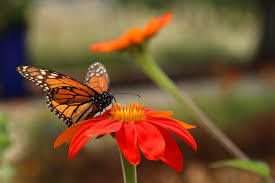 If the trend from the initial sample (97 sites) holds true, the population of overwintering butterflies is estimated to be less than 30,000 – 0.05% of its historical size. Full and vetted results will be published in late January. To get an accurate count of monarch populations, volunteers follow a monitoring guide, which recommends beginning a count on a still, cool, and dry morning so that monarchs are still clustered together. Volunteers count a small cluster of monarchs and then extrapolate that number to arrive at a total for the larger cluster they’re observing. Citizen science has been crucial to understanding the decline of monarchs and insects worldwide. As covered by The New York Times, the current “Insect Apocalypse” has largely been documented by volunteers. The dismal numbers recorded this year are potentially disastrous, as the predicted extinction threshold for overwintering western monarchs is a population of 30,000. However this threshold, based on population densities needed for thermoregulation and mating during winter, will only be verified once the western monarch’s yearly migration patterns cease. And at that point it will likely be too late to save the wild population. Using statistical analysis of citizen science data, a 2017 study posited the extinction risk of monarch butterflies in western North America to be ~50-70% within 20 years, and ~65-85% within 50 years. The precarious situation of the butterfly population can be attributed to both recent events and long-term stressors, including pesticide use. The weather in California was less than favorable, beginning with late rainy season storms in March. A severe and extended wildfire season – the most destructive on record – caused a smoky atmosphere and reduced habitat. The historic drought that established conditions for the massive wildfires had a negative impact on butterfly populations in its own right. Overall, the western monarch population has declined by 95% since the 1980’s. Significant contributors to the dramatic decline are habitat loss, pesticide use (both insecticides and herbicides), and climate change. As we confront the potential extinction of western monarchs, a swift and drastic response is necessary. In 2017, a number of environmental groups urged the Trump Administration to expand protections and efforts for monarch butterflies. The administration has not responded to this call to action, and continues to roll back federal protections. Interior Department Deputy Secretary David Bernhardt has referred to the implementation of the Endangered Species Act (ESA) as an “unnecessary regulatory burden” on citizens and companies. Regardless, advocates say it is important to keep placing pressure on elected officials, especially those at the local level, to protect biodiversity. Crucial to long-term recovery of monarchs and other pollinators is comprehensive adoption of organic land care practices. Agricultural lands comprise 77% of all prospective monarch habitat and are therefore critical to foster pesticide-free habitat for pollinator populations. As it stands, many agricultural fields employ a range of toxic pesticides, such as systemic neonicotinoid insecticides, which make the pollen and nectar of plants toxic to pollinators, or genetically engineered crops, which tolerate repeated glyphosate exposure and through drift indirectly lead to the loss of milkweed on which monarchs depend. Beyond Pesticides has many resources that support monarchs and other declining pollinator populations on the individual level, including Managing Landscapes with Pollinators in Mind and Hedgerows for Biodiversity: Habitat is needed to protect pollinators, other beneficial organisms, and healthy ecosystems. You can also visit the BEE Protective Habitat Guide and Do-It-Yourself Biodiversity. This entry was posted on Wednesday, January 16th, 2019 at 12:00 am	and is filed under Glyphosate, neonicotinoids, Pollinators, Uncategorized, Wildlife/Endangered Sp.. You can follow any responses to this entry through the RSS 2.0 feed. You can skip to the end and leave a response. Pinging is currently not allowed.